Junk King Miami’s pricing policies always based on volume. You will be charge by the pound. And that can make a huge difference to deciding what you want to toss out. If it turns out that your junk takes up more room than what was estimated, then you’ll still be paying that original price. That is just how Junk King Miami operates. 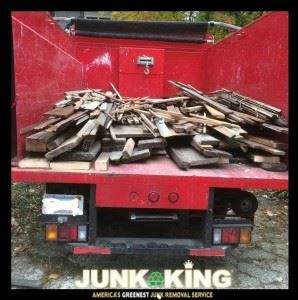 Junk King was founded on the principle that junk removal should be stressful. Having two movers and a big truck absolutely takes the stress off of getting rid of your unwanted clutter. Is it time to say goodbye to your junk? Then it’s time to say hello to Junk King Miami. This entry was posted in Miami Junk Removal and tagged junk, junk king, junk removal on September 30, 2017 by Junk King. Last updated October 1, 2017 .